Goosander x 3 early morning.........SS. Goosander x 8 on Trent Washlands........A Jackson. Black Redstart still by sailing club this morning......P Perry. Black Redstart still along north shore this afternoon.......P Perry. also adult Med Gull ............Birdguides. Kittiwake 1st-winter still from the hide; also 1st-winter drake Scaup ........Birdguides. Great Grey Shrike showing well in clearfell by Startley Lane......P Perry. 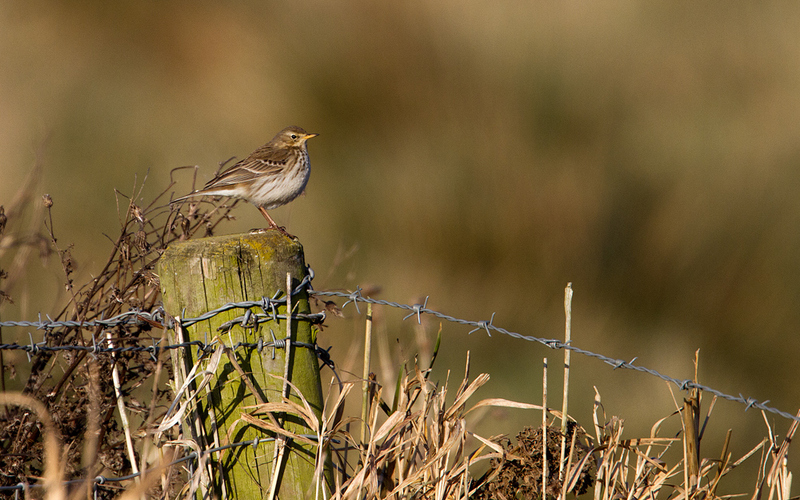 Water Pipit still from viewing screen this morning.........P Perry. Great Grey Shrike still in clearfell west of village......Birdguides. Goosander x 17 (10 x drakes) this morning.......SS. Iceland Gull 4th winter and adult in roost , also juv Glaucous Gull......Birdguides. Iceland Gull flew along A500/Bradwell Wood heading N/NW at 09.10.......................CJW, NS, GAS. 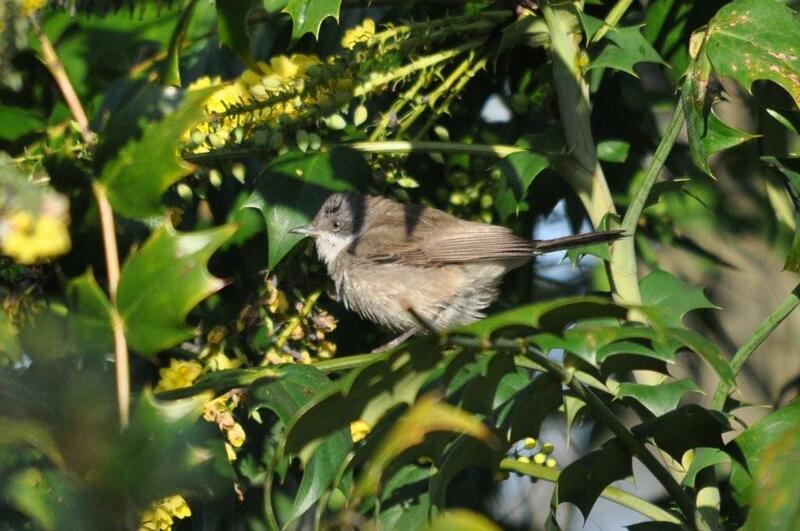 Lesser Whitethroat....Fenton Park....photo by M Neate. Lesser Whitethroat still present by sunken garden this morning.....Birdguides. Caspian Gull (2nd winter) and Y L Gull (3rd winter) Deep End roost..........GJM , MPR. Pink-footed Geese x 4 over at 8-35 this morning heading SW.......R Gilbert. 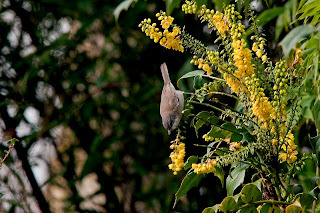 Lesser Whitethroat.....Fenton........photo by Neil Pope. Glaucous Gull juvenile yesterday roosted also adult Caspian Gull......Birdguides. Water Pipit....Doxey Marshes.....photo by Bob Kemp. Polish Black-Headed Gull Ring No T67 has returned for its second winter see link below. Water Pipit still on scrape from viewing screen this morning.......Birdguides. Lesser Whitethroat still this morning .......MN. Bittern showed well this morning from hide. also Egyptian Goose and Woodcock........GB. Goosander x 6 this morning......SB. Goosander x 2pair this afternoon......J Hutchins. Goosander x 61 , also 616 x Mallard , 75 x Teal , 67 x Wigeon and 3 x Goldeneye....A Barker. Water Pipit from viewing platform , Water Rail x 5 (2 x on Creswell , 3 x on Boundary). Also 26 x Goosander , 23 x Grey-lag , 2 x Gadwall , 2 x Stonechat and 12 x Snipe.....AH. Water Pipit still present also 50+ Golden Plover.....R Gilbert. Brambling x 4 still this morning by green bench on the bend by Serpentine ....CG. Iceland Gull adult in roost this afternoon......GJM. MPR. Goosander x 17 on main lake this morning........NS. Great Grey Shrike still in the clearfell area west of the village and south of Startley Lane...Birdguides. Mealy Redpoll x 2 this morning in willow scrub on south shore.......Birdguides. Long-eared Owl x 2 today.........A Matthews. Goosander x 4 this morning......G Hadley. Barn Owl last night hunting in fields along Dunwood Lane......GB. in winter barley field this morning......BT. Water Pipit still near new sluice gate from the viewing screen this morning .......Birdguides. and an adult Common Gull on main pond........SS GB CG. Goosander x 15 , also drake Goldeneye.......NS. 2x Short-eared Owls this afternoon........KH. et al. AND MAY YOU ALL HAVE A BIRD FILLED 2012.